The following article appeared in Saturday’s Somerset Co. (PA) Daily American. Randy Haulk is pastor of the Meyersdale Grace Brethren Church. MEYERSDALE — Hunting in Penn’s Woods will be the theme of this year’s annual Game Supper to be held Jan. 24 at the Meyersdale Grace Brethren Church. The event will be held in the church’s Activities’ Building, located at the rear of the main church facility. The supper is open to the public and is free, although a free will offering will be taken to help defray expenses. Reservations are required and the deadline is Jan. 21. They can be made by calling the church at 634-5980. The menu will include a wide variety of donated wild game and fish in addition to other meats. Several door prizes will be awarded. Resh has served as pastor of the Brothersvalley Church of the Brethren, located at Brotherton, for the past 16 years. He is married to the former Janet Yutzey of Pocahontas. They have two children: Dr. Darah Resh, VMD. Somerset, and John Resh, a chemical engineer, living in Dover. Resh’s employment over the years has included: Atlas Printing Company, press operator from 1966 to 1979, and outside sales/public relations from 1984 to July 2004. He also owned and operated a dairy/beef operation, 1979-1984. From August 2004 to December 2008, he served as Executive Director of the Conemaugh Municipal Water Authority. He was president of Resh Hunting and Fishing Supplies Inc. which was involved in retail sales of hunting and fishing supplies from 1993 to 1999. Other key interests for Resh have included educational development at all levels. He serves as Board Chairman of the Somerset County Campus Foundation for Allegany College of Maryland and president of the Southern Tier Education Council for Bedford and Somerset Counties. He is president of Allegheny Housing LLC, a Maryland Corporation that owns and operates a housing project at the Main Campus of Allegany College in Cumberland, Md. He was a school director for Somerset Area Schools from 1985 to 1993, and was chairman of the Somerset County Technology Center Board of Directors from 1987 to 1993. 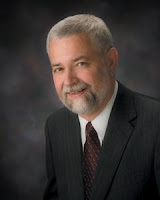 He is a Board Member at Citizens National Bank, Meyersdale, and is treasurer/secretary of the Shanksville Ministerium. Resh is a member and past president of the Somerset Rotary Club. An active sportsman, he is a member and treasurer of Mountain Field and Stream Club Inc. and is a member of the Somerset Sportsman’s Club and New Baltimore Sportsman’s Club. Grace Brethren Pastor Randy Haulk emphasizes that the Game Supper is open to the public, but it is important that reservations be made by the Jan. 21 deadline.